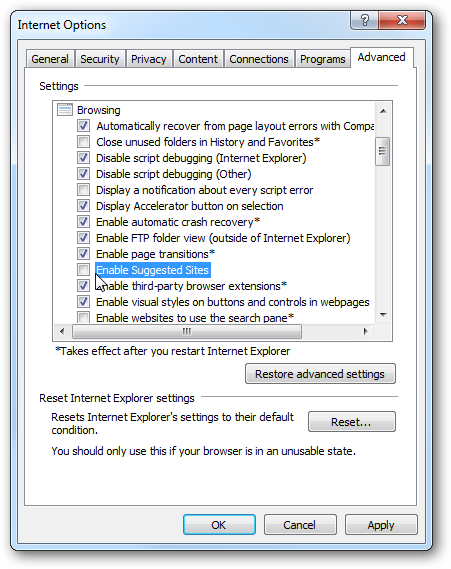 If you’re a user of Internet Explorer 8 either by choice or due to work requirements, you might be tired of seeing the annoying Suggested Sites feature in the Favorites Bar. 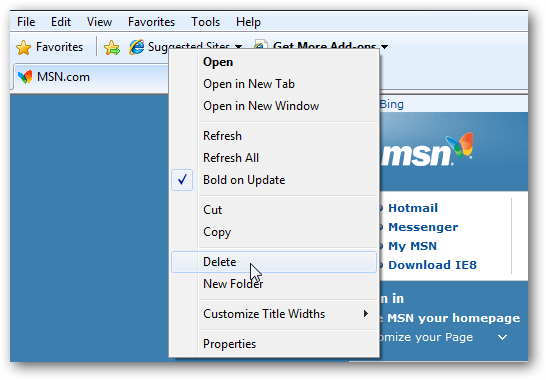 Today we show you how to disable Suggested Sites and remove it from the Toolbar. 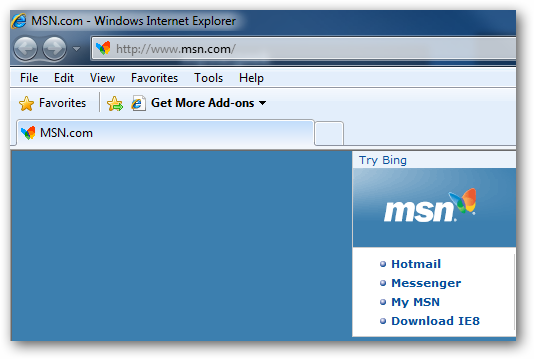 Suggested Sites is a feature in Internet Explorer 8 (included in Windows 7 by default) and enables you to find sites similar to the one you’re visiting. 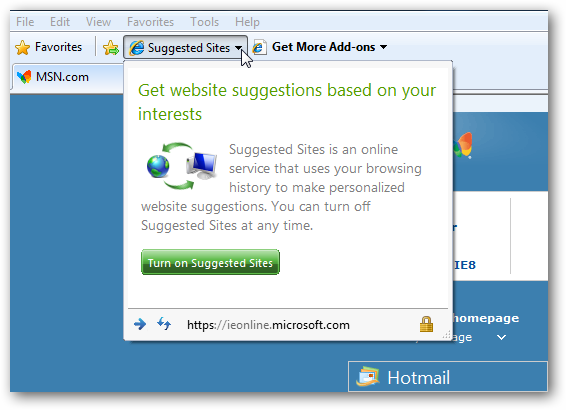 When Suggested Sites is turned on, your browsing history is sent to Microsoft where they compare it to a list of updated sites that are related. 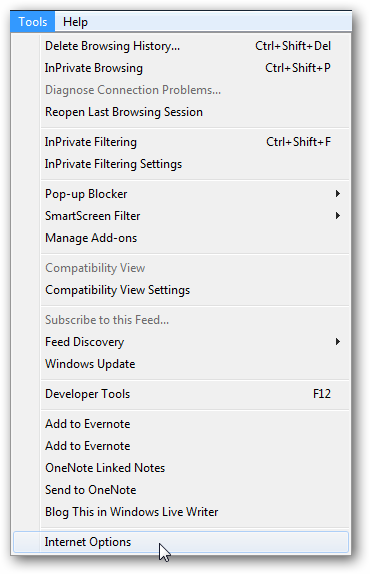 To turn off the feature click on Tools \ Internet Options. Click on the Advanced tab then scroll down to Enable Suggested Sites and uncheck the box to turn it off then click Ok.
Now if you click on Suggested Sites you’ll see it’s been disabled and you can enable it again from here if you want. You might want to turn it off and also get rid of it from your favorites bar. Just right click on Suggested Sites and click on Delete. 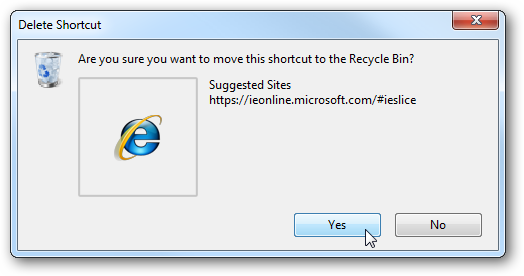 Click on Yes to the confirmation dialog screen. That’s it! The Suggested Sites feature is turned off and it’s also out of your favorites bar. 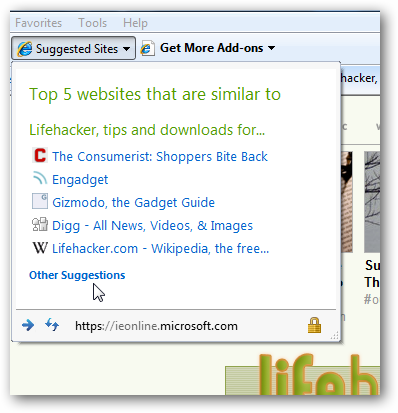 If you’re concerned about Microsoft tracking your browsing, you might want to turn off the Suggested Sites feature. This is a good solution for getting rid of it being displayed on the Favorite bar as well since you’re not using it.